Leona is a lady, much in demand. 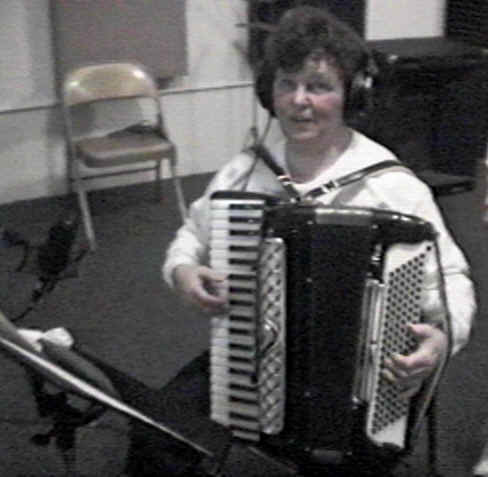 Her prowess on the accordion keeps her on the go almost constantly. She knows thousands of songs. And, what she doesn't know she can learn in less than one verse! Look for much more of her work on upcoming recordings on this web site.